Price request for RM 63-01 Dizzy HandsRef. Time does not surprise the wise, but of Time the wise laughs, as only he knows how to use it. 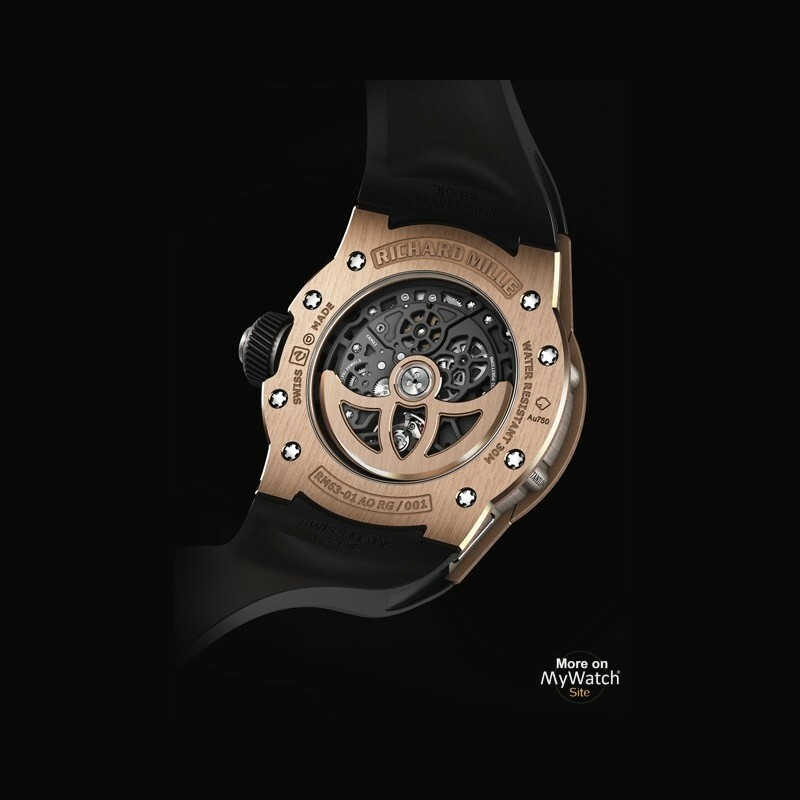 With the ﬁrst quick glance, nothing gives away the unusual horological creation inside this timepiece, except perhaps the visual layout of the hours. 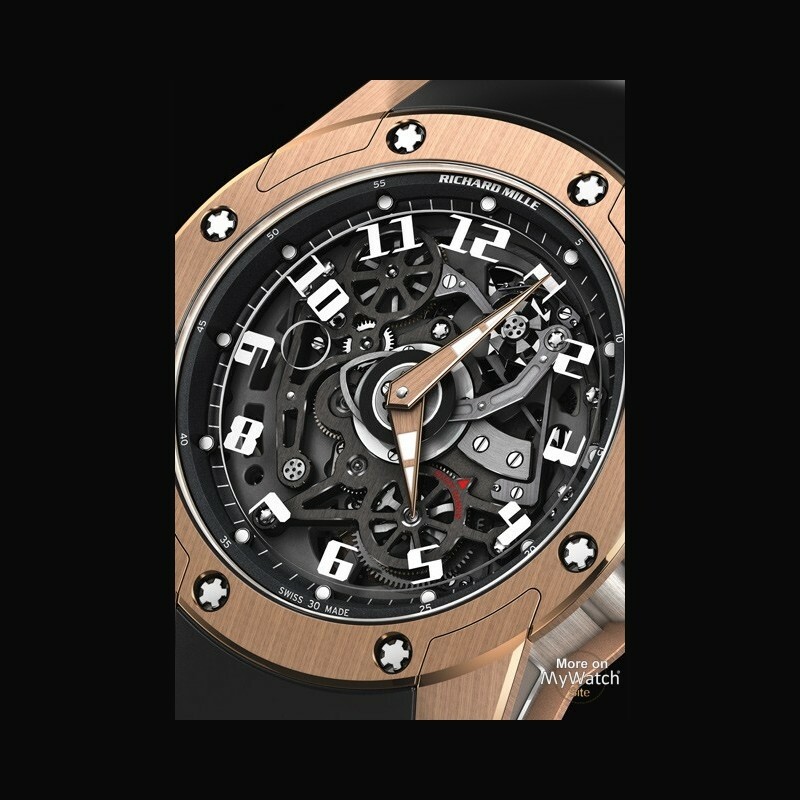 In every detail, part and mechanical solution one can see that this is pure Richard Mille in every sense. However, when the pusher in the center of the crown is depressed once, a slow motion ballet begins: the sapphire glass dial begins to slowly rotate counterclockwise, as the hour hand moves clockwise, both at different speeds. 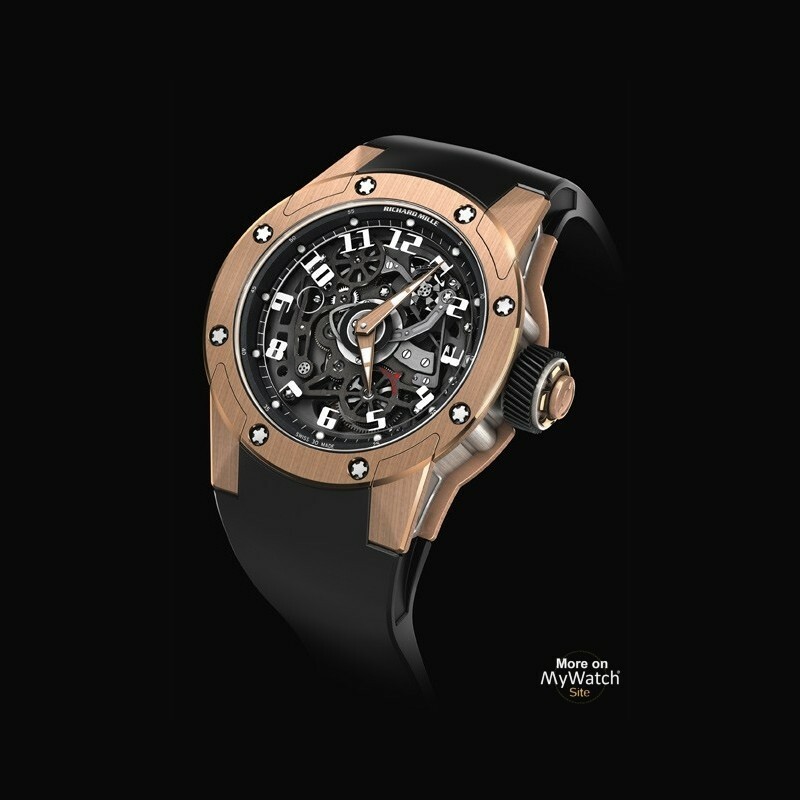 Suddenly, timekeeping has been redeﬁned, and one is released from everyday life and schedules that need to be kept. 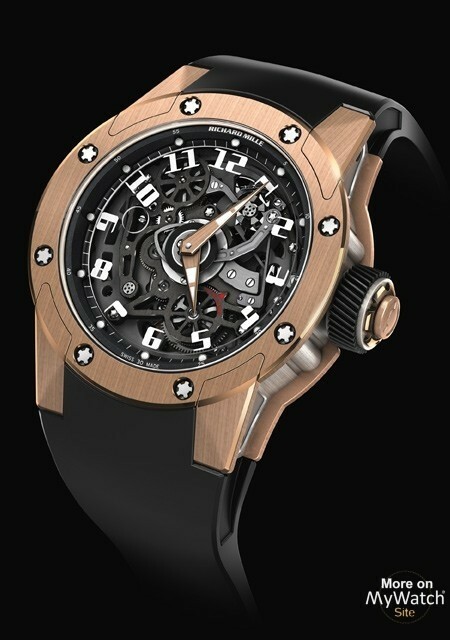 The RM 63-01 Dizzy Hands has the power to release you from the strict and mundane, yet will always entertain your eyes with a different appearance every minute….Yet this is not all: when the adventure is completed, the holiday or the lunch with friends has come to a close, simply depress the pusher again and everything on the dial returns to normal, as if you have never been away in a different time or space. 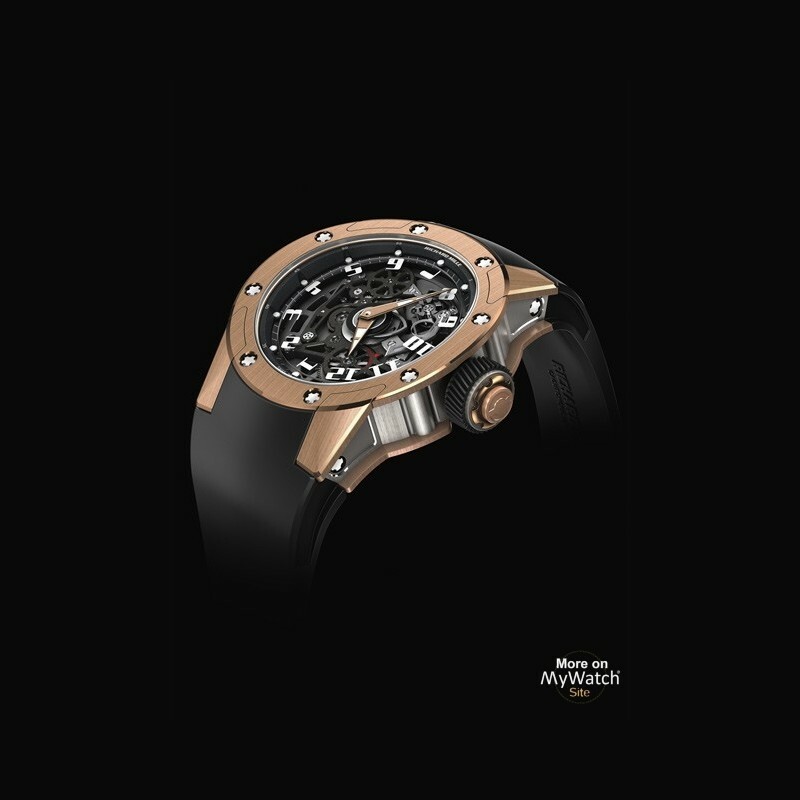 This is a watch that transforms time into the poetry of motion. 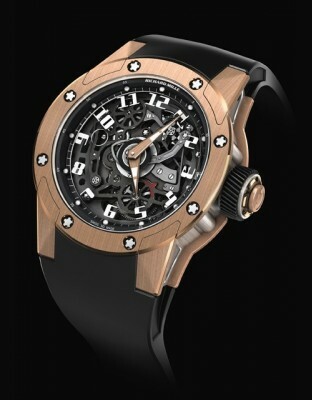 Realizing this seemingly simple conceptual timepiece actually required new solutions; the mechanism of the RM 63-01 Dizzy Hands, the caliber CRMA3, is a completely new movement fully developed by Richard Mille’s engineers in Les Breuleux, a complex wonder, reinventing principles taken from chronograph design to achieve these artistic results, together with specially designed and researched parts that separate the hour and minute functions completely from one another. 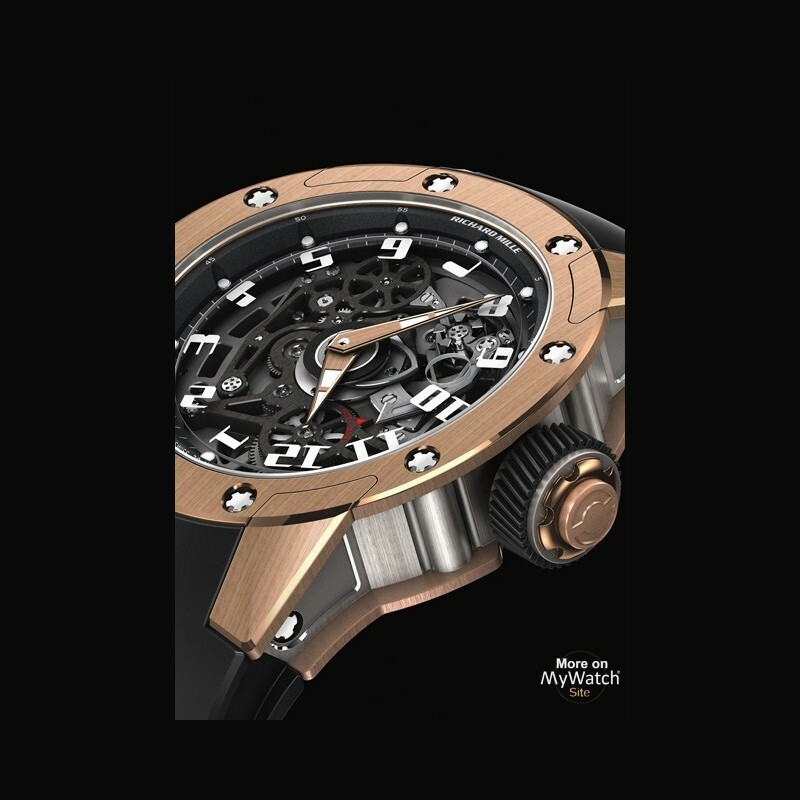 Designed in titanium grade 5, with PVD treatment and a bidirectional rotor with gold Celtic design, the movement is surrounded by a new and unique round Richard Mille design case with 18K red gold front and back bezels with a central caseband of titanium. Unlike the other round watches in the collection, the RM 63-01 Dizzy Hands is the very ﬁrst to have a curved, round front bezel; a subtle mark of the artistry held within its sensual and unique exterior.